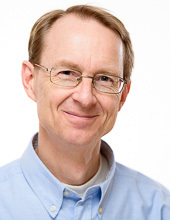 Professor Öhrström’s subject is Inorganic Chemistry, in particular the interactions of metal ions with other molecules. His main focus is the synthesis and understanding of Metal-Organic Frameworks, new materials with importance for “green” and sustainable chemical engineering and potential applications in catalysis and gas storage. Since 2007 he has been engaged in the International Union of Pure and Applied Chemistry (IUPAC). He is a member of the National Committee for Chemistry and a regular contributor to Chemistry World’s (Royal Society of Chemistry) popular science podcasts. Det där periodiska systemet, hur ska vi tänka på det? Main Group Metal Coordination Polymers. Structures and Nanostructures By Ali Morsali and Lida Hashemi. Can DFT calculations help the molecular designer to construct molecule based magnetic materials? There might be more projects where Lars Öhrström participates, but you have to be logged in as a Chalmers employee to see them.